If you love and have a great understanding of the travel world, consider becoming a travel editor. Travel editors read travel pieces and correct errors such as word usage, grammar, or sense. They also resolve inconsistent sentences or ideas. If you enjoy reading and writing along with travel, then consider a career as a travel editor. 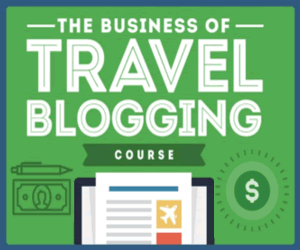 A great education (formal or informal) in a wide array of subjects will help you to become a travel editor. 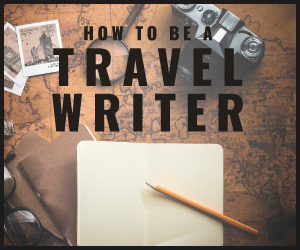 Take some classes in travel, writing, and editing. Editing and writing courses are offered through universities, colleges, and online course work (The Travel Writers Life). Keep learning about the written word. Read! When you are in college or university, work for your school’s travel section in their newspaper or local school magazine. It does not matter if you are not editing at the time. Learn both sides of the writing and editing industry. FYI: whether or not you are currently attending college or university, apply for a job with you local newspaper. Once you get your foot in the door, you never know what may happen! During your college years, build your expertise. Apply for an internship or part-time job at a newspaper, magazine, or some other publication. Develop your computer skills! Become familiar with the “Adobe” family, especially Photoshop (photography, graphic design, web design) and Framemaker (authoring and publishing software). Learn about the other types of software that are used in the publishing industry! Decide if you would like to work for a single publisher or big travel corporation and the type of travel company you would like to work for. Some publishers will allow you to work on a project-by-project basis. Of course, you may prefer to freelance for travel publications such as a travel magazine or newspaper. Network. As always, get out there and meet others who aspire to become a travel editor. Look for forums about and with travel editors and start adding your name to the list. Check out Editor in Chief Norman Vanamee of Sherman’s Travel magazine. He’s speaks about how to “maximize” your frequent flier miles. As a travel editor, you may have an opportunity to “break into” TV with travel. You too can be featured on a local TV news program!